Some only weight the Olympic medals the athlete has won, others only the records the athlete has set. I don't like something like this; I think we should look ON THE WHOLE CAREER of the athlete. On this site you will find very extensive career records for many of the greatest distance runners, and also some other - unique - statistics. All of these stats are the result of many, many hours of work, which I have done over the past years. The formatting of these stats is far from perfect (it's much better with Mozilla than with IE on my computer...) at the moment - sorry for that. But I will try to better, so that it will become a pleasure to read them. Aouita and Coe are more equal on position 6. Obviously such a list is highly debatable; also it is not at least clear, what "best" or "greatest" means at all. But one place in this list is not anymore a thing of the personal point of view - the first one. 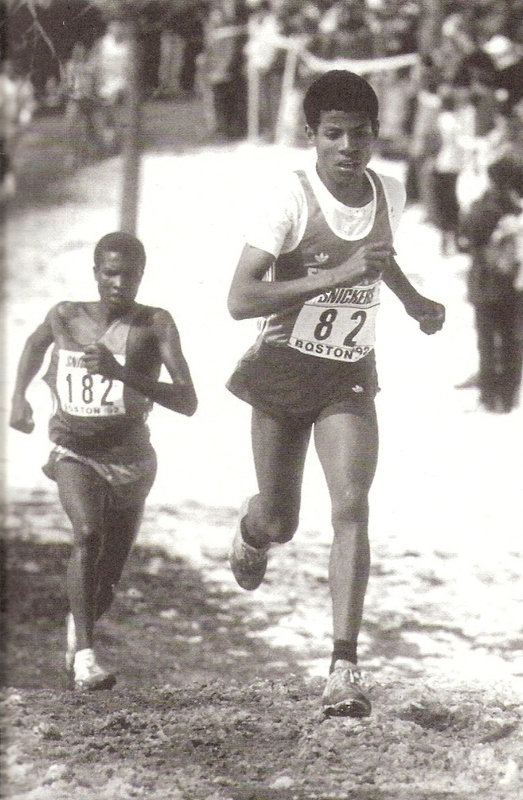 Haile Gebrselassie now is for such a long time at the top of his sport, that he must be the Nr. 1 in any serious ranking. For sure, Kenenisa Bekele - who is several years younger than Haile - also has had a wonderful career so far. But since Haile still is setting records, Kenenisa has a lot to do, to catch his Ethiopian predessesor. 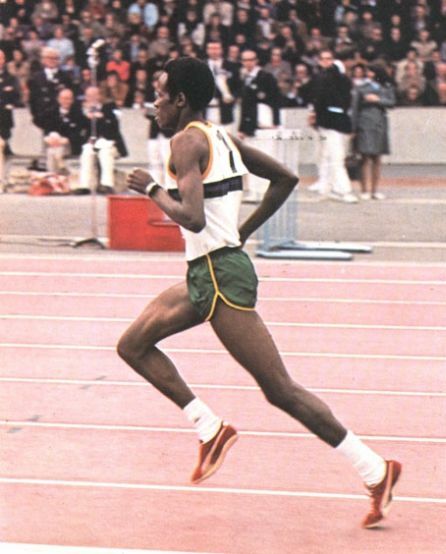 The following statistics lists over 100 of the greatest all-around runners in history with all of there personal bests from 800m to 10000m including the Steeple. 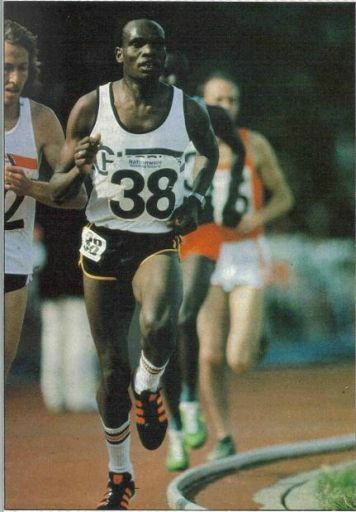 The aim was to make a list of "versatile" runners, which had great success in at least two Olympic events or good results in at least three events. But there isn't something like an mathematical formula behind which runners are included and which not. 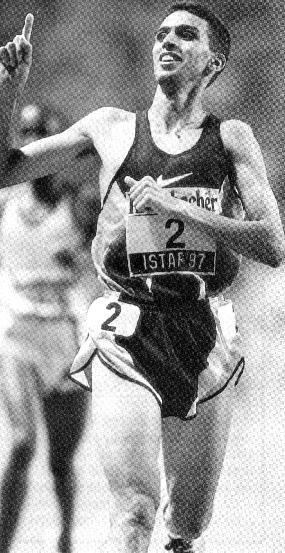 But obviously a great runner like Wilson Kipketer can not be included, because he never had 1500m-results of some significance. But the portuguese Rui Silva - for example - is included, because of international class results from 800m to 3000m. Also hardly someone will call Silva the "better" runner. In addition to the personal bests of the athletes, you will find in brackets behind the personal best from each runner in all the events the BEST POSITION on the all-time list, which the athlete reached during his career in that event. This obviously must not be at the moment, when the athlete has set his best time. 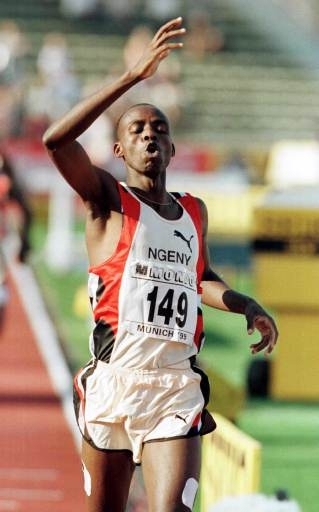 Numbers like 1:43,86 (13) in the 800m column thus means, that the athlete has a personal best of 1:43,86 and at one point of his career he was the 13th fastest of all-time in the event. It was not possible to search and find all of these positions, especially for runners from the first half of the 20th century. But still, this definitely is a statistics, which never was published - or done - before in this way. In some cases you will find a number like 4,54 or so in brackets, which means that the athlete has come within 4,54% close to the world record of the event. In the following links you will find progressive all-time lists for the different events. These lists should include all the results which qualified an athlete for an all-time top-10 performers position - at any date in running-history. It is very difficult to find all the necessary stats, so these lists definitely are not complete - especially for the early years. I tried to include any times known, also indoor times and intermediate times in longer events, what makes it much more difficult to get all necessary results. As always, I would be very happy for any additions. Here you will find very extensive career records of some of the greatest distance runners in history. I have done such lists for much more athletes, well over 100 I think. From time to time I will upload another runner. Any addition to these lists is very appreciated! My goal is to creata such lists - as complete as possible - for every runner who has achieved a World Record or has won an Olympic Title during his career. 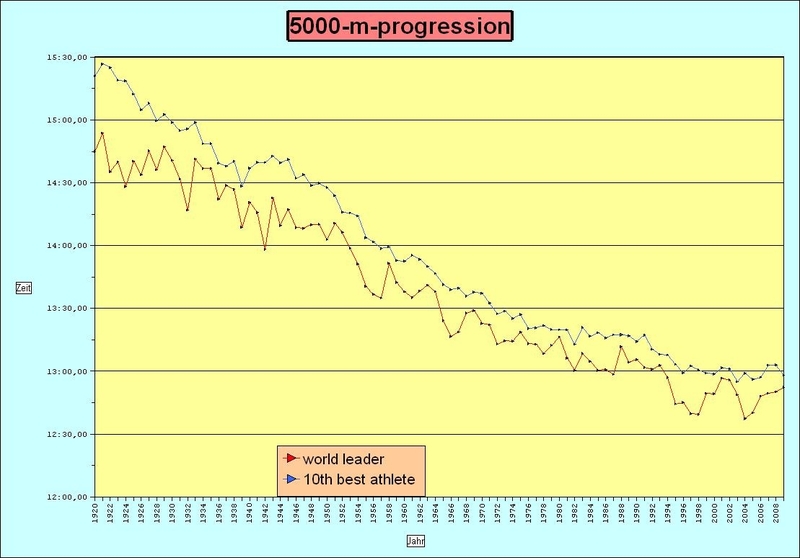 But it is very difficult to find enough data for some runners from before around 1950. Help is needed! 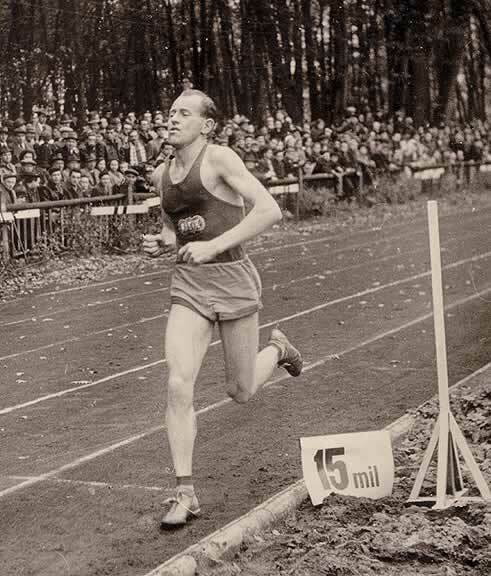 The following runners are also available: Arne Andersson, Said Aouita, Roger Bannister, Bernard Barmasai, Dieter Baumann, Luigi Beccali, David Bedford, Wilson Boit Kipketer, Pyotr Bolotnikov, Juri Borzakovsky, Jean Bouin, Brahim Boulami, Brahim Boutaib, Audun Boysen, Fermin Cacho, Chris Chataway, Richard Chelimo, Jerzy Chromik, Ron Clarke, Tom Courtney, Alberto Cova, Glen Cunningham, Herb Elliott, Mohamed Farah, Marcello Fiasconaro, Brendan Foster, Mohamed Gammoudi, Anders G�rderud, Haile Gebrselassie, Murray Halberg, Rudolf Harbig, Siegfried Herrmann, Derek Ibbotson, Volmari Iso-Hollo, Alberto Juantorena, Kipchoge Keino, Ezekiel Kemboi, Franz-Josef Kemper, Samson Kimobwa, Wilson Kipketer, Asbel Kiprop, Peter Koech, Hannes Kolehmainen, Vladimir Kuts, John Landy, Jules Ladoumegue, Werner Lueg, Taoufik Makhloufi, Sydney Maree, J�rgen May, Noureddine Morceli, Noah Ngeny, Gunnar Nielsen, Venuste Niyongabo, Harald Norpoth, Kerry O'Brien, Yobes Ondieki, Otto Peltzer, Gordon Pirie, Gaston Reiff, Ville Ritola, Gaston Roelants, Peter Rono, Istvan Rozsav�lgyi, David Rudisha, Jim Ryun, Ilmari Salminen, Bob Schul, Nils Schumann, William Sigei, Khalid Skah, Peter Snell, Norman Taber, Naftali Temu, Paul Tergat, Siegfried Valentin, Pekka Vasala, Lasse Viren, Dan Waern, Thomas Wessinghage, Rick Wohlhuter, Sydney Wooderson, John Woodruff, Dave Wottle, John Zander, Emil Zatopek. If someone is interested in extensive career records please contact me. This section has links to national record progressions for some of the leading nations in the history of middle and long distance running. These lists are not official or something like that, but as accurate as I could make them. Included are any marks which I could find, also indoor times and intermediate times. The german file includes FRG, GDR and GER records. 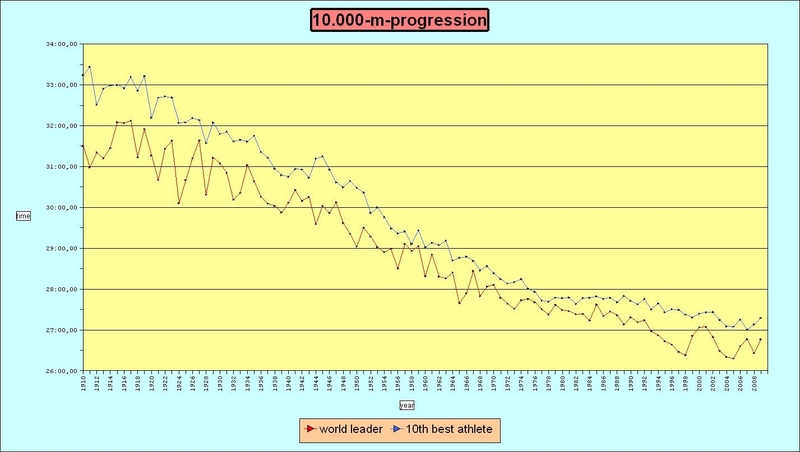 Graphical illustrations of the yearly leaders and the 10th fastest over the years in the main events. videos and statistics: can someone help? Another thing I'm looking for are career records for some record breakers from the first half of the 20th century. If anyone has some stats which could be of interest for me, I would be happy to get some copies. The following link leads you to short profiles of many all-time greats. I will add more regularly. 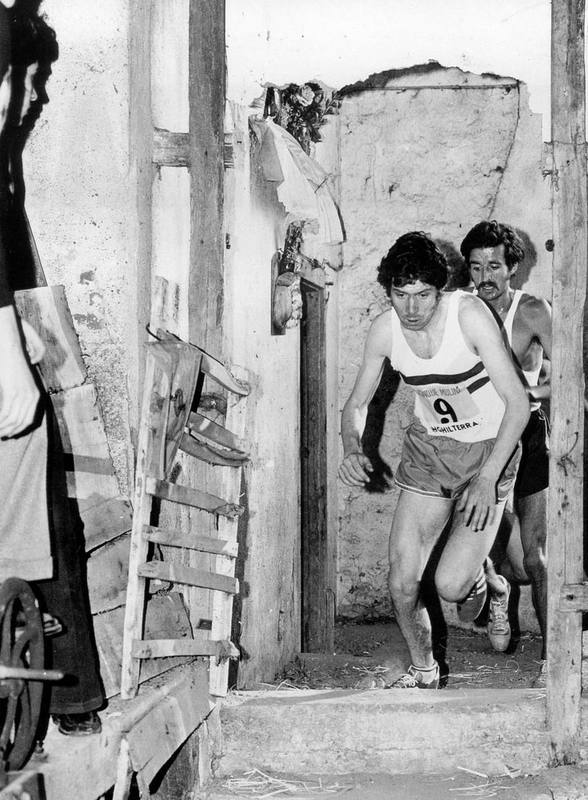 Here you will find many photos from World Record races (and from World Best performances which were not officially recognised); it would be great to get one photo from every record. 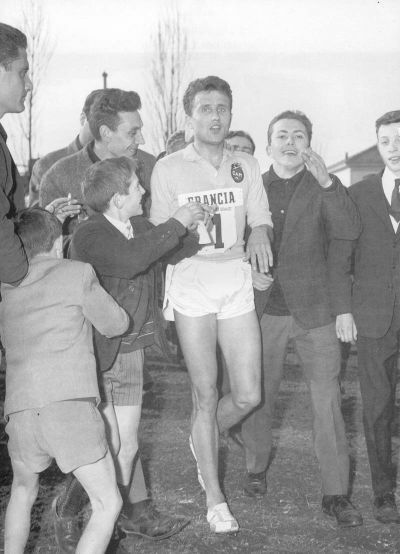 Some of these photos are from the great site www.elatleta.com which has an enormous amount of great pictures in the forum. 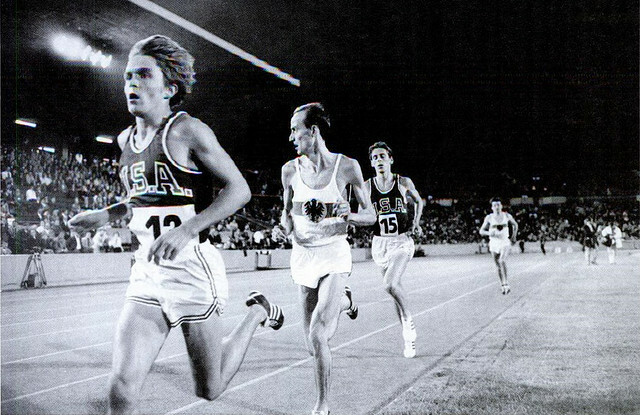 Non world record photos from the history of distance running is what is in this section. Because of some request, here are links to articles which were published in the German magazine "Leichtathletik" some years ago. They are in german, but still someone may be interested in them. A number in red behind an performance always indicates the position on the all-time performers list the athlete reached with this performance. An +... gave the gap to the second placed athlete for a winning performance; an -... the gap to the winner, in an non-winning performance. To smaller venues, usually also the country is given; in some cases also the stadium is indicated.